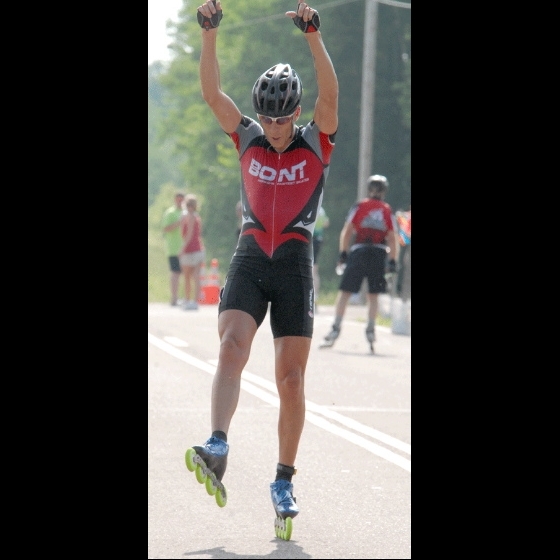 Repeat Performance - Mike Anderson celebrates as he crosses the finish line of the Big Granite Inline Marathon. He finished 1 minute and 11 seconds in front of the second-place finisher, his Bont teammate Randy Plett. Anderson's time was 1 hour 11 minutes and 51.9 seconds. Finishing third was Matt Robinson.